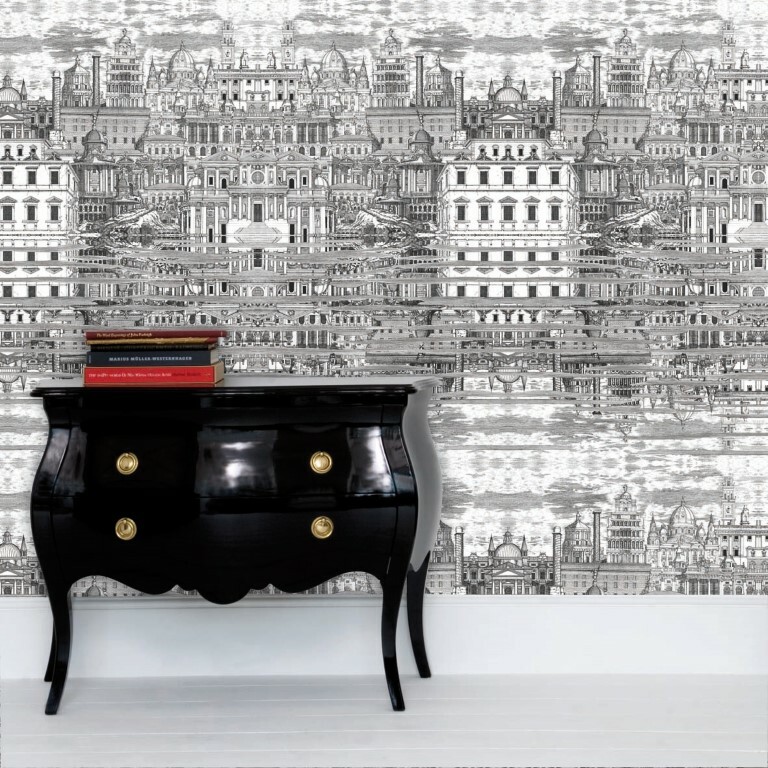 Piero Fornasetti (1913-1988) was a Milanese painter, sculptor and interior decorator; a renowned creative visionary, his work completely transformed the 20th century decorative art scene. 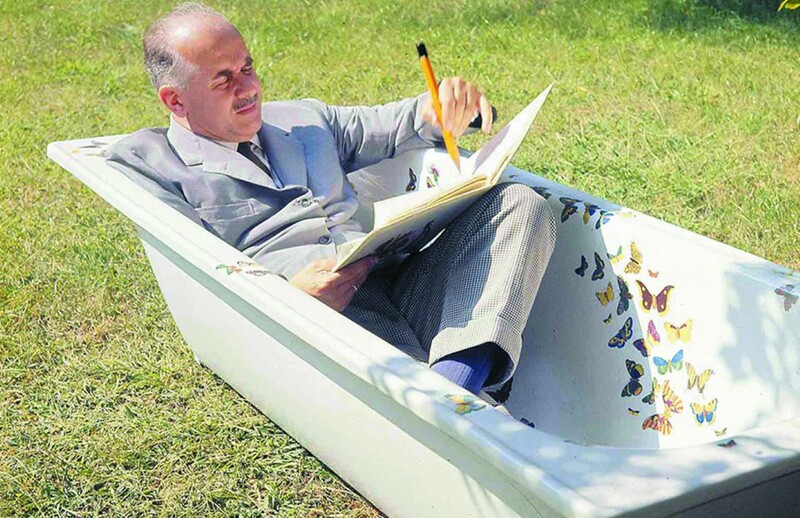 In his lifetime he created over 13,000 products, and in terms of variety and diversity of decoration his production of objects and furniture is one of the largest collections of the 20th century. First approached about creating a perfume during the 1980s, it wasn’t until after his death 30 years later that the first Fornasetti fragrance became a reality. His son Barnaba took over the family company after his father’s death, and amongst the extensive archives he discovered sketches of bottles each accompanied with a scent recipe. Providing the creative team for one of their biggest challenges, they set about deciding how to tackle creating the house fragrance. Barnaba wanted to extend the Fornasetti legacy into the fragrance arena, and to help him he called upon the artistry of world renowned master-perfumer Olivier Polge. One of the leading stars of International Flavours and Fragrances (IFF) and creator of classic modern fragrances such as Flower Bomb by Victor & Rolf and Dior Homme. Also continuing his father’s legacy, Olivier is the son of legendary perfumer Jacques Polge, famed for being the nose of Chanel. 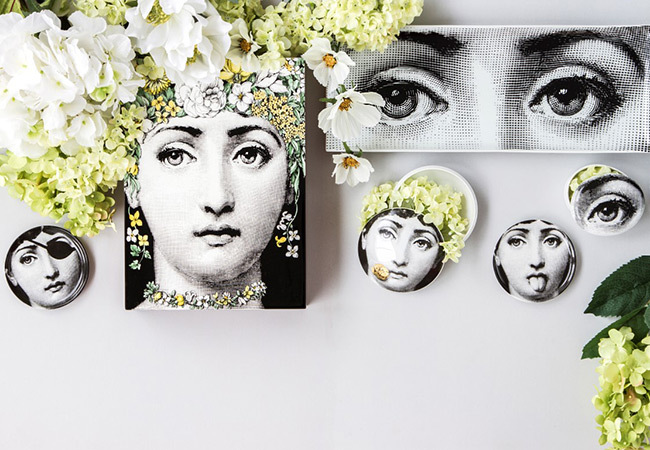 Coming together with a shared vision, Olivier was thrilled to undertake the creation of the first Fornasetti scent being a long-time collector and admirer of the iconic brand. Travelling on a fragrance journey together, they worked in close collaboration to discover the very essence of Fornasetti. Olivier visited the family home in Milan, and noticed the smell of woodsmoke coming from the open fireplace; the Mediterranean herbs growing in the garden; and Barnaba’s lavender-and-pine cologne. Olivier used these ingredients that are of personal significance to Barnaba, along with more ethereal scent notes such as smoky labdanum, intended to evoke the parchment-and-wood lining of Fornasetti’s archive drawers, and incense to aid in conjuring the latent spirituality that is often present in Fornasetti graphic poetry. The finished perfume was used at the family home, where Barnaba lives today, and unlike many home fragrances it was not tested in a laboratory. Eventually the eighth prototype was chosen as the Fornasetti signature scent, which is how it got its name Otto being Italian for ‘eight’. 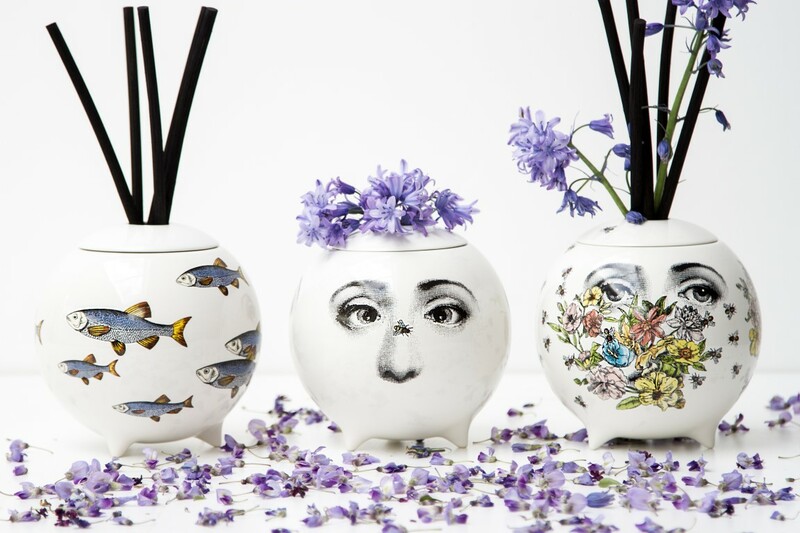 The vessels to house this signature scent were selected and reworked by Barnaba Fornasetti together with his creative team in the Milanese graphic research studio. 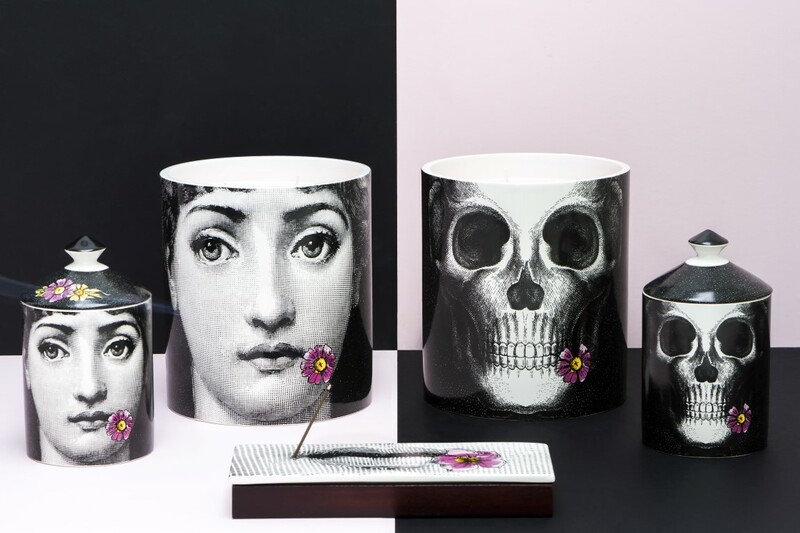 They used elements from the Fornasetti graphic archive and re-interpreted them on new shapes and objects, resulting in the collection of home fragrance options available today. Created under licence from United Perfumes, Fornasetti now have five home scents available across candles, sprays, incense or scented sphere.